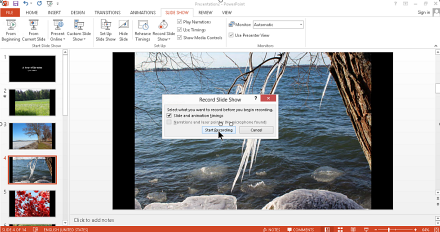 Do you know that PowerPoint can create HD videos that you may publish on YouTube? In the demo below Peter Kalmstrom shows how to create a video of some photos. Add transitions, either separately to each slide or select all and then the same transition type for all slides. Peter uses PowerPoint 2013, but earlier versions have the same functionality. the kalmstrom.com Blog post about Creating a HD Video in PowerPoint Number Formats.